Torn. Stopped in My Tracks. I was down at Bondi just after Christmas teaching some friends how to surf. It has been a while since I had been back in the water. Too long. I was running in the soft sand in thigh deep water when my heel gave way due to the softness of the surface as I pushed off to stride. You know that moment when you have torn something? You can feel it. Unmistakable. Your body almost assesses the damage, and you know instinctively how bad the tear might be. 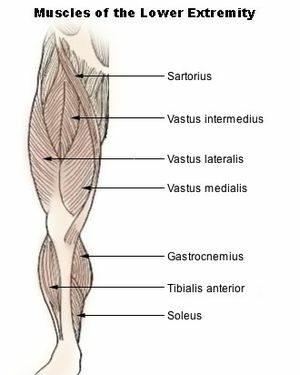 In this case, I had torn my right calf muscle (gastocnemius torn through excessive dorsi flexion). I think I tore more than a few fibres because there was a significant loss of mobility. Needless to say, the tear put paid to my plans to commence this running stunt towards the end of February. I spoke this over with my running coach, Bob Williams from Portland, Oregon. Bob has been particularly helpful in reviewing exactly what I hope to achieve by running, and how I intend to do that. So there will be some changes, but the concept remains intact. Meanwhile, the journey continues. The conversation continues to build, albeit slowly. This is more than just about running. And maybe the injury from that perspective is a welcome development. It has given me good cause to focus more intently on the issue itself: child mortality, and how together we might influence a reduction. So where to from here? To start, the last couple of weeks I have taken the opportunity to step back and get some perspective. That has been helpful, and more on that in the coming blog posts. First step: begin by designing the ‘Design Forum’. This is not something for me to do on my own, but is an invitation for many to come together in helping to address where we might take this conversation. It is about us, not about me. Secondly: towards the end of this month, I will return to Seoul by invitation of our Ambassador to attend a number of activities coinciding with Australia Day in my work helping others to strengthen their connections between Australia and Korea. While I am there, I will be visiting the publisher for the book ‘Life Bridge’ to commence making the book which funds this journey a reality. For many of you, this book has been a long time coming, and I want to thank you especially for your patience and encouragement. Publishing the book first I think is a good move to better communicate the central idea behind all of this. I would hope to have the book published around April. Thirdly: in terms of running, that is on hold until I am better recovered. I responded well to physio, and am back in the pool deep water running and swimming. It is likely that the running will focus on the UN General Assembly to take place in New York at the end of September. It is also worth noting that the UN has moved the dialogue onto a post-Millenium Develop Goals agenda, which is a welcome development although it takes the pressure off the hook for the next three years. Stopped in my tracks, but only briefly. The body has amazing restorative ability, and I will come back stronger and fresh ready for the road ahead. In the meantime, there is work to do. Thanks for being part of the journey. This entry was posted in Bob Williams, Injury, Reinvention and tagged Gastocnemius, Injury, Recovery.